Frederick, SD is in Brown County located in the northeast section of the South Dakota. 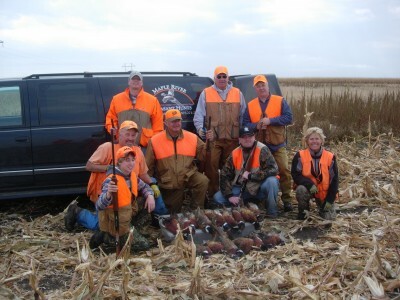 Maple River Pheasant Hunts is located 25 miles north of Aberdeen, SD and about 13 miles south of Ellendale, North Dakota. On the map below – our Frederick, South Dakota location is marked with a star. Our fields are located in Brown County which has some of the highest pheasant counts in the South Dakota.